Dr Savvas C.Hirides was born in Athens but his nationality is from Cyprus. He studied medicine in English at Charles University, Prague, Czech Republic for 6 years. He worked as a surgical resident in Children’s Hospital “P.A.Kyriakou”, in General State Hospital “G.Gennimatas” and in General State Thoracic Pathology Hospital “Sotiria” and received extensive training in the whole spectrum of classic “Open” General Surgery, Emergency and Trauma Surgery, Thoracic Surgery and Basic Laparoscopic Surgery. 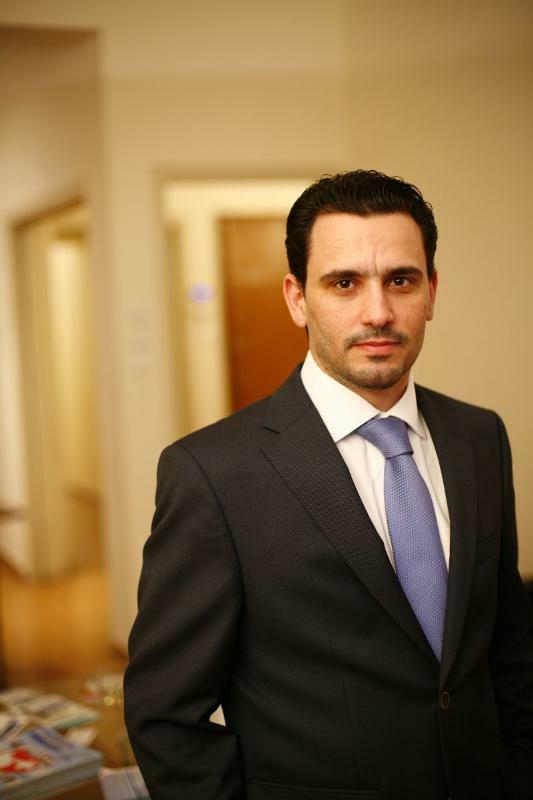 Dr.Hirides is the first Cypriot Robotic Surgeon. He subspecialized in Robotic Surgery and advanced laparoscopy in the General, Laparoscopic, Robotic and Bariatric Surgical Clinic of Athens Medical Center (Director: K.M.Konstantinidis).From January 2007 till August 2017, Dr.Hirides actively participated in the First Greek Robotic Surgical Program in the country, while at the same time he completed his training in Advanced Laparoscopy, Robotic Surgery and Bariatric Surgery in centers of excellence around the world (Strasbourg, Grosseto, Houston, Los Angeles, New York, Buenos Aires). His total surgical experience overcomes the number of 3500 patients. In addition, for two years he attended the postgraduate program on Laparoscopic and Robotic Surgery in Athens Medical School, Kapodistrian University of Athens and received the title “Master of Science” (MSc) in 2010. He received his PhD in 2016 with completion of his research in Metabolic Surgery (surgical correction of diabetes mellitus type II) in the experimental lab with porcine models from the Medical School, Kapodistrian University of Athens (Hippocrateon Clinic, Prof.G.Zografos). He has published in international as well as local journals and has contributed as an author in numerous medical books. He attends most of the large international surgical meetings and occasionally participates as a speaker in Europe (Seville, Geneve, Verne, Prague, Stocholm), USA (Quebec, Chicago, San Diego) and Asia (Beijing). He is a fellow of the American College of Surgeons, member of European Association for Endoscopic Surgery, SEERSS (European Robotic Association), International Federation of Obesity and Metabolic Surgery (IFSO), and Hellenic Surgical Society. In December 2009, he was voted General Secretary of Hellenic Scientific Society of Robotic Surgery and he held this position till March 2018. In November 2011 he was elected Executive Secretary of the European Society for Robotic Surgery (SEERSS) and actively participates in the organizing committee of its meetings. In May 2011, he participated in the organization of the 6th International Congress of Robotic Surgery (MIRA) as a Co-Chairman of the Scientific Program. Today he works as a General Surgeon in Athens Medical Center and Hippocrateon Private Hospital and performs Laparoscopic and Robotic operations from all the spectrum of General Surgery. His interests focus in research on diabetes surgery, future surgical technology, microrobotics, and Intraoperative Navigation Systems (Augmented Reality Robotic Surgery). Savas Hirides: How Can The Surgical Robot Facilitate The Difficult Splenectomy? Review Of The Literature And Presentation Of A Rare Case. International Journal of Medical Robotics and Computer Assisted Surgery 11/2011; 7:38. Copyright © 2019, Savas C. Hiridis MD,MSc,PhD,FACS, Laparoscopic &amp; Robotic Surgeon. Designed by Devsaran.